Dr Bates Gill was previously director of the Stockholm International Peace Research Institute, one of the world's most influential international relations research institutions. Chairman of the Board of Directors of the United States Studies Centre at the University of Sydney, Malcolm Binks has announced the appointment of Dr Bates Gill as its new Chief Executive Officer to succeed Professor Geoffrey Garrett. "Dr Gill brings an extraordinary depth and breadth of knowledge and experience to the centre. His great success as Director of the Stockholm International Peace Research Institute (SIPRI), one of the world's most influential international relations research institutions, and his high level expertise on US-Asia relations makes him well positioned to build on the centre's standing as the leading Australian academic and policy institution on the US, its global role and Australia-US relations," Mr Binks said. Dr Gill is a distinguished think tank leader with strong policy links in the United States, Asia and Europe. His previous positions include serving as Freeman Chair in China Studies at the Center for Strategic and International Studies and as inaugural Director of the Center for Northeast Asian Policy Studies at the Brookings Institution, both in Washington DC. 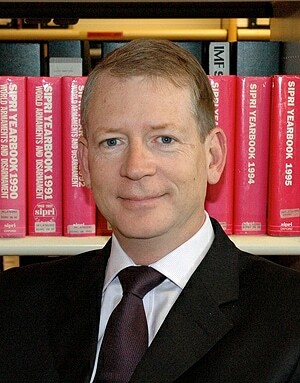 An expert on American defence and security issues in East Asia with a focus on China, Dr Gill has overseen the publication of the last four SIPRI Yearbooks on Armaments, Disarmament and International Security, all published by Oxford University Press. He is also author of Rising Star: China's New Security Diplomacy published by the Brookings Institution Press. Vice-Chancellor and Principal of the University of Sydney Dr Michael Spence said, "The Centre is extremely fortunate to have attracted such a high calibre international relations expert who will add greatly to the intellectual life of the University and to policy debates in Australia. His appointment will help build strong connections between the US Studies Centre and the University's new China Studies Centre, focusing the University's attention on the two most important countries for Australia's future." American-born, Dr Gill completed his undergraduate studies in political science at Albion College in Michigan and his MA and PhD in foreign affairs at the Woodrow Wilson Department of Government and Foreign Affairs at the University of Virginia in Charlottesville. "As a frequent visitor to Australia who has come to admire the quality of the country's international relations research, teaching and policy capacity, I am honoured to have been selected to lead one of the most important initiatives ever undertaken in Australia-US relations," Dr Gill said. Dr Gill is expected to take up the appointment in October. Until then, Professor Garrett will continue to serve as CEO of the US Studies Centre in addition to his new duties as Dean of the University of Sydney Business School.